On offer are 9 individual properties for sale in Cyprus located in the town and district of Ammochostos also known as Famagusta. This area is the most popular tourist destination on the island and the holiday resorts of Ayia Napa and Paralimni Protaras are known worldwide for their golden sandy beaches and extremely lively nightlife. Famagusta is a city on the east coast of Cyprus, located east of Nicosia and possesses the deepest harbour on the island. 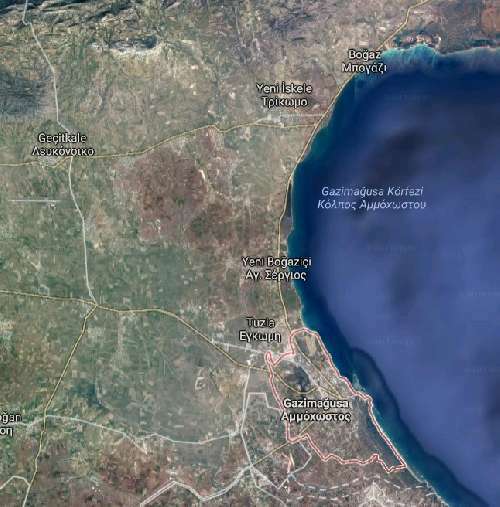 This is a fabulous place to buy plots of land in Cyprus with excellent potential.